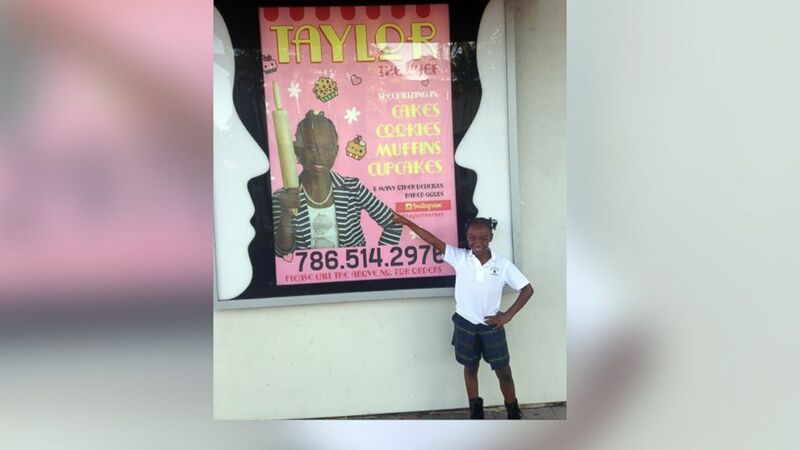 Taylor Moxey, of Miami, started selling cupcakes at her church. camera (Vernon Moxey) Eight-year-old pastry chef Taylor Moxey at work. Any professional chef would be lucky to win a cooking competition, securing herself free billboard space to advertise her services and national media attention for her business. Taylor Moxey, a pastry chef from Miami, worked hard to build her baking business, starting by selling cupcakes at her church, which turned into private clients and winning a cornbread competition against other professional Miami-area chefs. It has all the trappings of a standard American success story -- except Taylor is only 8 years old. “If I have a client on Tuesday, say my dad picks me up at like 1 and then we go to my house and we get the ingredients ready and start baking and by the time it’s done and we deliver it, I go to dance,” Taylor told ABC News about juggling her schedule. She’s still in elementary school, after all, so homework and other extracurricular activities can sometimes get in the way of maximizing profit. Taylor started her business after her father, Vernon Moxey, challenged her to come up with the money herself for a doll she wanted to buy. 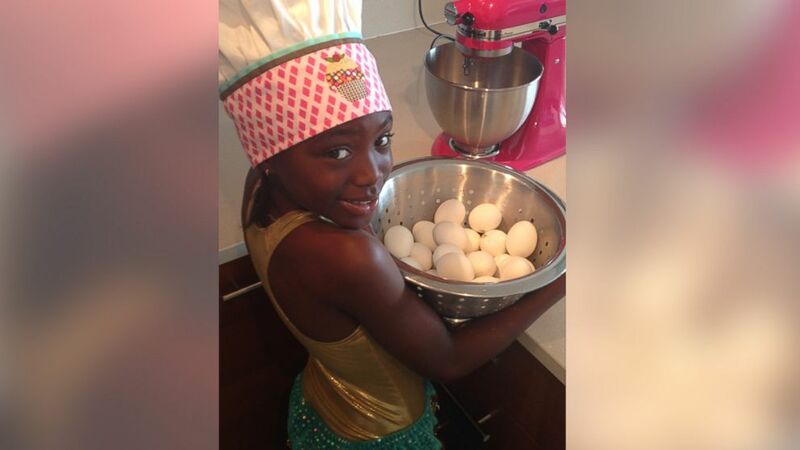 (Vernon Moxey) Eight-year-old Taylor Moxey has grand plans as a pastry chef. Rather than buying the doll she had earned, Taylor chose to use the profits to buy business cards and start a real pastry business. Since then, Taylor entered and won a professional cornbread competition last summer, beating out a prominent Miami chef, who didn’t know he had lost to a child until she visited him in his restaurant a few days later for a picture, Moxey said. Taylor opened an Instagram and Twitter account to field requests from local businesses like Citibank. 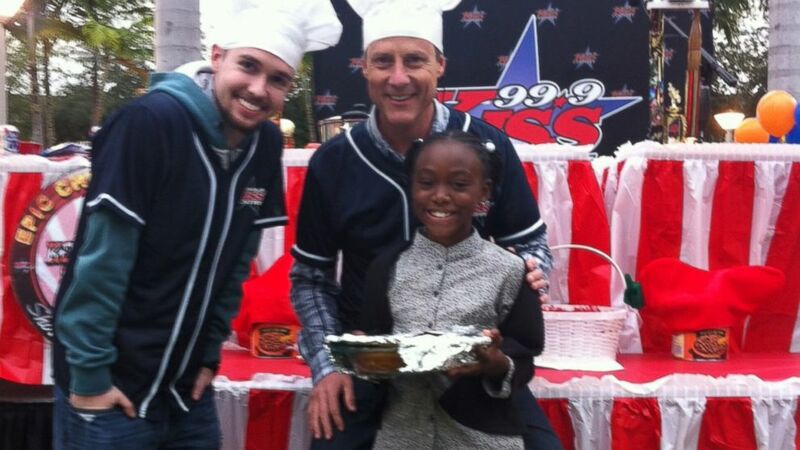 (Vernon Moxey) Eight-year-old Taylor Moxey beat out professional chefs to win a cornbread competition. Taylor charges $20 for six cupcakes, which is a fairly standard rate. Taylor Moxey is certainly living up to her name.